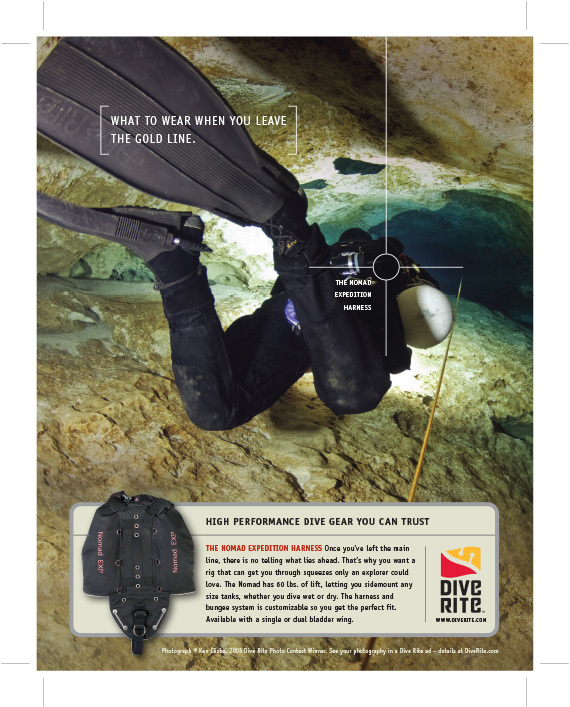 Dive Rite is a world leader in technical diving equipment -- the sort of gear used in some of the most hazardous conditions, like cave diving. Because life and death can be on the line when choosing the right dive equipment, MetaVisual was asked to create a robust, solid mark that would reflect the trust placed in the company's longstanding reputation of dependability and safety. The solution was a logomark with dual meaning: part dive flag and part line marker (the plastic arrow tab added to dive lines indicating direction. Custom typography adds to the contemporary quality of the mark. 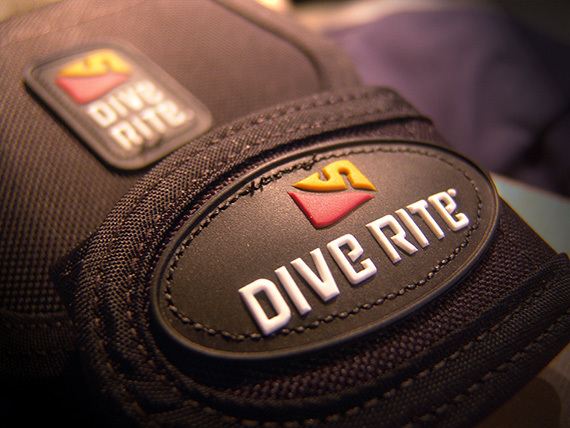 The identity was implemented in advertising and on products, including rubber molded patches, pad printed accessories and embroidered dive wings.